Nosepedal is for sale and is not taking any orders. Aaron Tomberlin, the owner of Nosepedal recently contacted me. He apologized (without making excuses) for what happened, and made a sincere offer to make it right. I appreciated the gesture, but I asked what he intended to do for the other people out there who had similar experiences. Aaron said that he's attempting to make things right with anyone he can find who's shared a similar story. I believe that he's sincere. You might be thinking "too little too late", and I wouldn't blame you for thinking that. But here's a few thoughts. When a business owner realizes that they've made mistakes, they have a choice about how to move forward. Some treat it as business-as-usual, never acknowledging any of it. Some move onto another business (usually under another name). Far fewer actually take the time (and money) to try to make things right. Aaron is a working musician. I have no reason to think that a few disgruntled pedal customers would negatively affect his musical career. He could have just continued running Nosepedal, attempting to improve service going forward, and everything probably would have turned out ok. He didn't have to go backwards and try to make things right with past customers, but he is. I admire that, and if you're hesitant to shop from Nosepedal because of what you read in my story, I encourage you to reach out to Aaron and give him a chance to change your mind. Before we get into this, let me make explicitly clear what it is that Iím trying to accomplish with this post. When you go shopping for any kind of guitar gear, be skeptical of small businesses that youíve not researched. Do your homework before doing business. Most importantly, do not confuse what Iím saying. I am not trying to imply the people at NosePedal are bad people who are trying to rip anyone off or that all their products are terrible. I am a single customer, and I have no way of knowing how they treat anyone else. But... it is something. The facts are as follows. 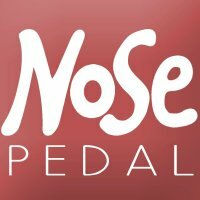 I ordered a pedal from NosePedal on May 28th. I sent multiple emails to business and personal accounts over the course of 3 months, along with multiple tweets and facebook comments. Only 1 email was answered, no tweets or facebook messages got any kind of response. The pedal was finally sent on August 27th. The company did not respond to my email about the defective pedal. I had to fix it myself. I place the order on May 28th via the NosePedal website. There was no indication on the website that the pedal was not in stock, that it had to be built, or that there was any kind of wait period. Over the next 45 days I submitted two requests for a status update via the website contact form. I got no reply to either request. @nosepedal What would be the best way to contact you about a pedal I ordered on 5/28? Havenít heard anything back via email. Thanks! My name is Anthony Stauffer, I own a company called Texas Blues Alley. I placed an order for a pedal order swapper on NosePedal.com on May 28th. Since that time I have had no contact from you, no status updates, no indication that my pedal exists, or is being shipped. In the last two weeks, I've submitted two requests via the NosePedal contact page, I've tweeted your personal, and NosePedal twitter accounts, I've posted a message on the NosePedal Facebook page, all to no avail. At this point, I'm hopeful that NosePedal is actually an operational company, and that my pedal is actually being built, but I'm a bit worried that this is not the case. Please give me some indication that you are a real person, who runs a real company that builds real pedals and actually delivers orders. Sorry, weíve been out for 2 weeks on vacation, thus the reason for little and no response. You may already know, but we are a small companyÖ just 3 of us. And weíve all been gone recently, so production and communication has slowed down. But, we do have your order, weíre back, and weíre catching us as fast as possible. Again, sorry for the delay but thanks for your patience. My interpretation: the entire company can go on vacation for two weeks and completely ignore CUSTOMER emails. Somehow they think this is OK. I am angered by this because I am a business owner with thousands of customers every single year. I pay hundreds of dollars every month to my Support NinjaTM Kevin to make sure that customer support is answered every single time. When I go on vacation, support emails are answered. When Kevin goes on vacation, support emails are answered. If it sounds like I was heated over that email, you better believe I was. As such, I sent the following reply. Iím no stranger to the difficulty of keeping customers happy running a small business. I look forward to receiving the pedal when itís ready. I hate when a customer tells me how to improve my business, but sometimes thereís truth in their unsolicited advice. And an angry customer once told me that if I was serious about business I had to get more serious about my response time. He was a jerk, but he was right. I had gotten lazy, often waiting days to answer emails. Now I pay someone a couple hundred dollars a month to answer support emails every single day, at least twice a day. When Iím on vacation, when Iím sleeping to 10am because I can, I have the satisfaction of knowing that no customer is out there stewing because nobody has returned their email. So Iíll tell you what that angry jerk customer told me. If you make a good product, and youíre running a serious business, there is no excuse for email to go unanswered while youíre on vacation. Your website looks great, your products communicate personality, the whole package says ìWe are a real company that loves what we makeî. A week long email silence says ìthis is a hobby that stops operation when weíre awayî. Hobbyists donít answer email on vacation, business owners do, or they pay someone who will. So now Iím the annoying (not angry) customer giving advice, take it for what you think itís worth :-) Either way, Iím looking forward to the pedal, itís going to be super useful for a couple Tone Tuesday demos Iíve got on deck. Not surprisingly, I did not get a response to my unsolicited piece of business advice. So I continued to wait. Checking on the status of my order from several months ago. Would appreciate a status update. It has now been two months since I ordered. After sending the email (which got no reply), I went on the NosePedal Facebook page, and found it littered with people complaining about months-old orders and lack of communication. Hereís where it gets interesting. All those disgruntled customer posts are now gone. But they were left there unanswered for months, indicating that the company never bothered to check their page, or they simply didnít care. We are a new company trying to keep up with the current high demand which we are grateful for. Hereís where Iíll get on my soapbox again. If youíve got no orders but lots of email, then youíve got a problem, BUT none of those people are customers so whatever. If you are ìswampedî with orders, and after buying parts, you have spent all your money, you need to charge more money. If, however, you are swamped with orders, and youíve correctly priced your products, some of that money should go towards paying someone to reply to emails several hours a day until all your customers have been replied to. If you have orders, you should have money. If you have money, you should be getting email answered by someone. Period. Iíll step off my soapbox now. Letís continue. On August 1st, I attempted to file a dispute for undelivered goods on Paypal. Paypal refused since the 60 day period had passed. Attempt #4 to get @nosepedal to respond to inquiry about 3 month old pedal order. I got a notice from Paypal that the pedal shipped out on August 27th, 3 months and exactly 1 email reply since I ordered. The pedal didnít work. At times, signal never made it through. So I submitted another request via the website contact form. At this point I was being a bit of a jerk. I donít have the exact text of what I wrote in that form but it went something like this. I got the pedal and it doesnít work. Iím not holding my breath for a response, and have just accepted that Iíll have to fix it myself. Of course, there was no reply. So I had to fix the pedal myself which thankfully only meant swapping out a defective jack. I waited 3 months for a pedal that was defective and had to repair it myself. The company only ever answered one email, and left numerous complaints from customers on their Facebook page for months. Since this episode of non-existent customer support, NosePedal has released a brand new overdrive, a couple of pedalboards, and plans for future pedals. Their Facebook page has been cleaned up, and some current posts from customers have been replied to. This is a large increase of communication since this summer. Despite how this story turned out, I am not implying that the people at NosePedal are bad people, or trying to cheat anyone. Growing a small business is hard and it can seem overwhelming at times. I hope they are good people who just had some bad judgment and who will do better and be wildly successful. If your business becomes so successful that you can no longer reply in a timely fashion to actual real paying customers, stop taking orders until every single customer has had their issue addressed and you have fixed your communication bottleneck. Taking money from people is sacred. If you canít communicate and wonít pay someone to help you, you donít deserve their money and should stop calling what you do a business. And yes, this applies to me first.